Pilates is a form of exercise which concentrates on strengthening the body with an emphasis on core strength. This helps to improve general fitness and overall well-being. 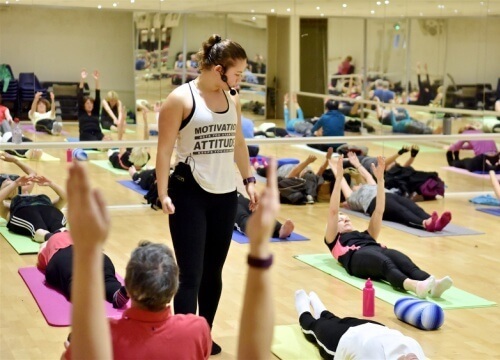 It is suitable for people of all ages and levels of fitness, however this class is aimed specifically at people new to pilates. Join us every Monday 10.30-11.30 with Karina as she takes you through a range of movements suitable for complete beginners. All classes are free to members and can be pre-booked upto 8 days in advance. Non members can book and pay on the day only. In 10 sessions you'll feel the difference, in 20 sessions you'll see the difference, and in 30 sessions you'll have a whole new body."